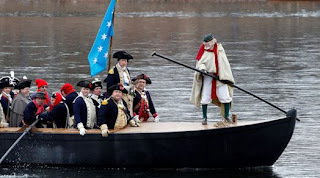 The 59th Annual Washington Crossing the Delaware Reenactment [Dress Rehearsal] on Sunday, December 11th. Not only do General Washington and his troops cross the Delaware River in uniform just as they do on Christmas day, but additional activities and demonstrations take place throughout the historic village. The event/village activities will occur from 11am to 3pm, with the crossing time occurring around 1:00 pm. Need any Cheat Sheets ? The cheat sheets are PDF files, formatted to print the entire sheet on a single page.